How do you believe their words? I've been seeing someone for 10-11 months now. When we first starting talking he let me know he had a wild childhood. He experimented a lot but he assured me he was only smoking now and he hated it. Three months into the relationship I find out he is using percocets consistently. I told he him needed to move on or get clean. A week later he was working on quitting. He had the shakes, twitches and nasty attitude. I though we could get through it. Ten months into our relationship I had worries here and there but he assured me it wanted to get on the right path and build us a life together. Four days ago he was drug tested at work and they found a detox drug in his system. He told me he couldn't control his cravings and he was trying to detox behind my back. He is in rehab but I am not sure if he went to save his job or himself. He is overly confident and can only talk about how he is doing it to better us. I'm worried I won't ever be able to trust him again. How do I know he is staying clean? Comments for How do you believe their words? Opiate addiction is VERY difficult to end! Opiate addiction is a disease of the brain and greatly effects the addicts ability to be truthful. Addicts are capable of anything to continue their addiction. You cannot trust an addict and until your boyfriend is demonstrably clean for at least a year you probably need to be very careful. 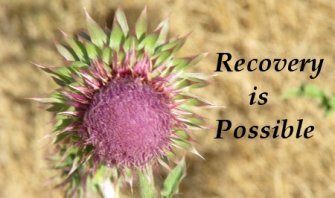 Relapse is a characteristic of opiate addiction and trying to get clean by yourself is very unlikely to be successful. If your boyfriend is serious, then he needs to agree to go to AA meetings daily, go into rehab for at least 30 days and agree to daily drug tests (which you can buy at a drug store) for the next six months. You should also involve his family and friends and not keep his addiction a secret.